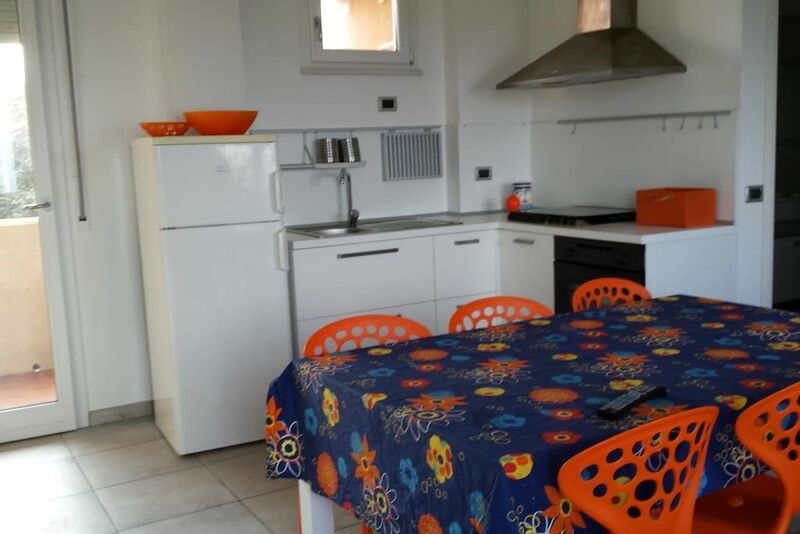 At the foot of the Conero, the apartment, very bright, is facing the sea with access, directly from the garden, to the private beach, umbrella and two sunbeds are available to guests. The apartment has two double and one triple bedrooms, a large bathroom, a kitchen / living room, a comfortable communal garden and a reserved parking space. The apartment, which is located in front of the coastal road that leads to Numana, Sirolo and Conero, is ideal for those who want to spend a holiday in total relaxation, both for those who want a more dynamic holiday. Excellent starting point for boat trips to the beach of the 2 sisters, or mountain biking on Monte Conero. The private beach, the large communal garden and the reserved carport allow the guest to enjoy the holiday in freedom and in total relaxation. Windsurfing and sailing school at about 200 meters. Golf course nearby. The diving center Centro Sub Monte Conero, located in the port of Numana, offers the possibility of courses and scuba diving in the coast of Monte Conero. Near the apartment there is a supermarket, in the immediate vicinity there are numerous bars and restaurants. A convenient sidewalk and a cycle path connect the accommodation to Marcelli and Numana.